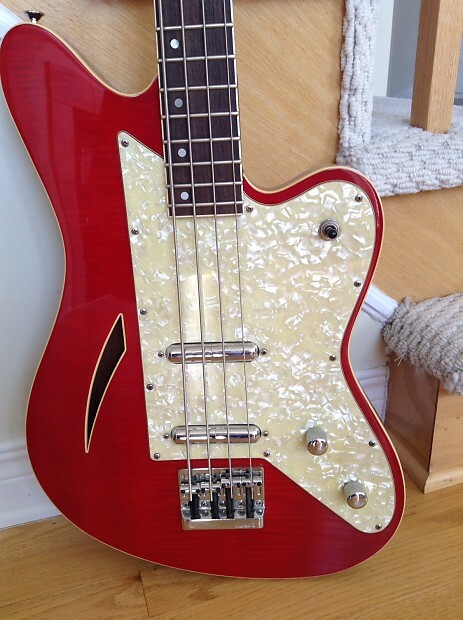 Beautiful and rare Charvel Surfcaster Bass in red. 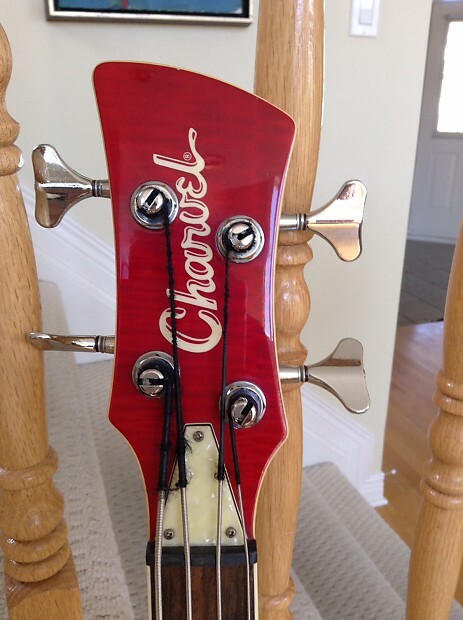 Plays great, thin fast neck. 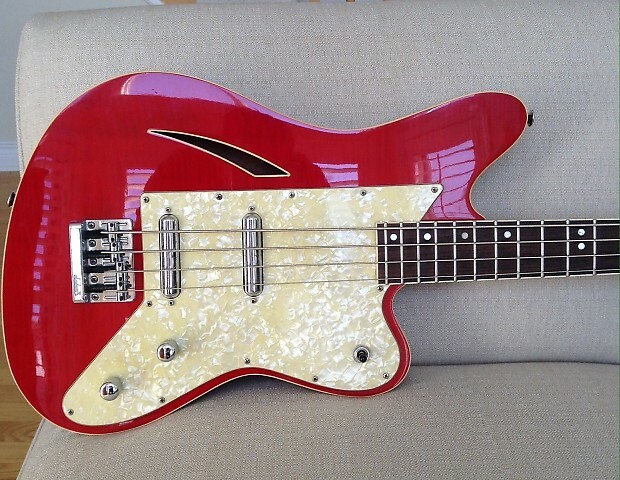 Bright sounding lipstick pickups. Gorgeous binding. 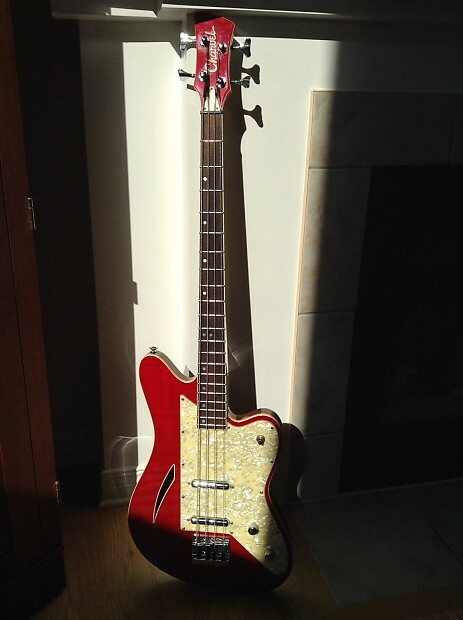 Very collectible bass. Does not include a case.